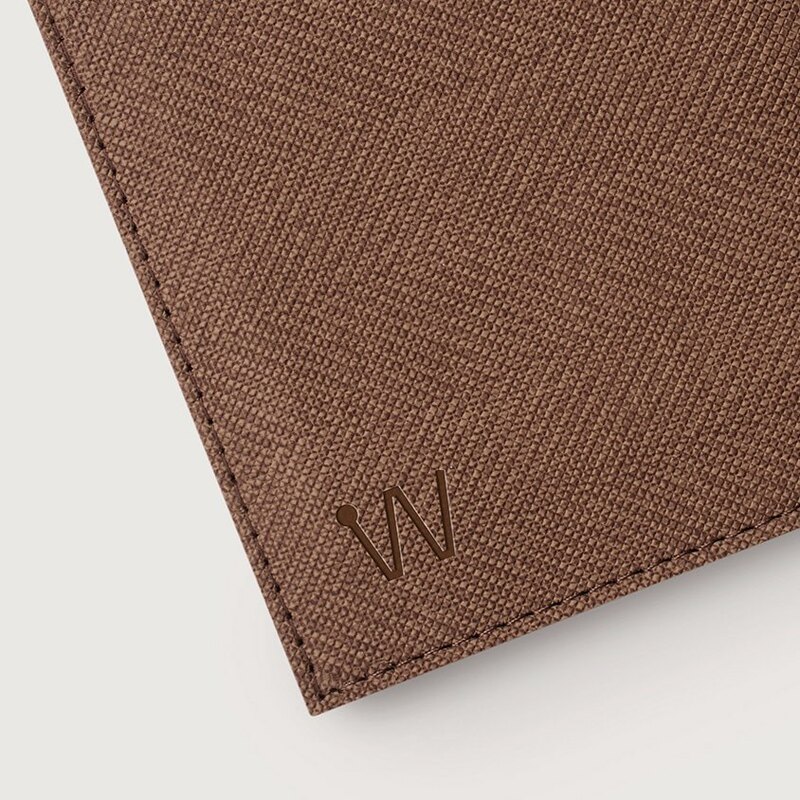 This way to the new Essential wallet! It’s a unique bag for all the gizmos and things you need to have at your fingertips at all times. Easy to wear, made ergonomically with high-quality innovative materials which will make you look good, feel good and carry on with your day. Baggizmo offers a unique way in how the bag is worn. There is no need to take it off during many of your daily activities – while you are driving a car, riding a bike, having a meeting or enjoying dinner in a restaurant. 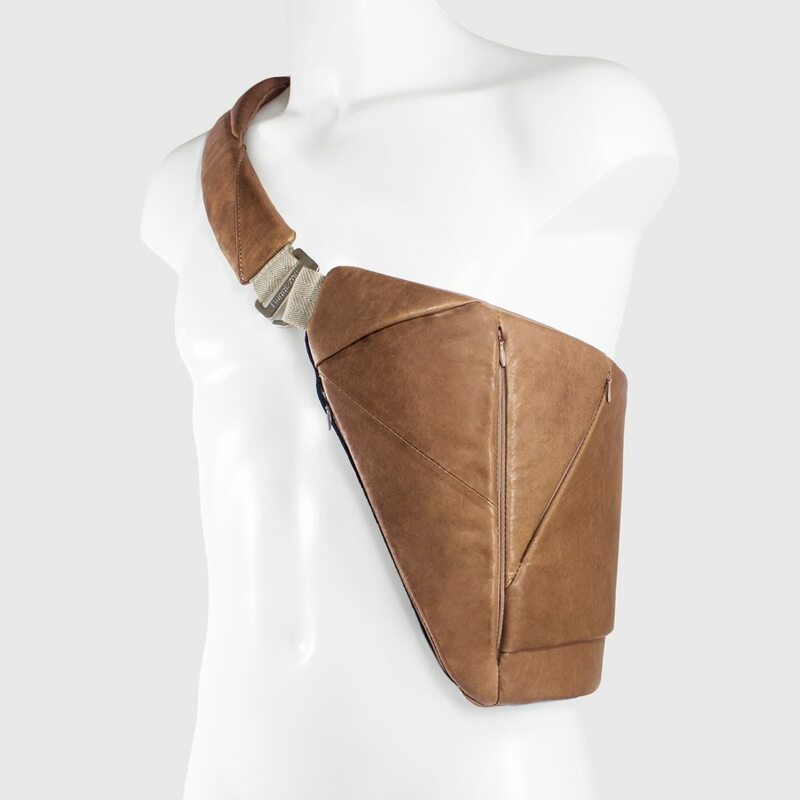 You can wear Baggizmo over a T-shirt, shirt, then under or over a jacket or a business suit. The space in Baggizmo is rationally organized. The direction and the size of the compartments depend on the size of its corresponding device, which are: a tablet, two smartphones, keys, wallet, power stick, pencil and a pad of paper, etc. So, Baggizmo can fit a lot of things. 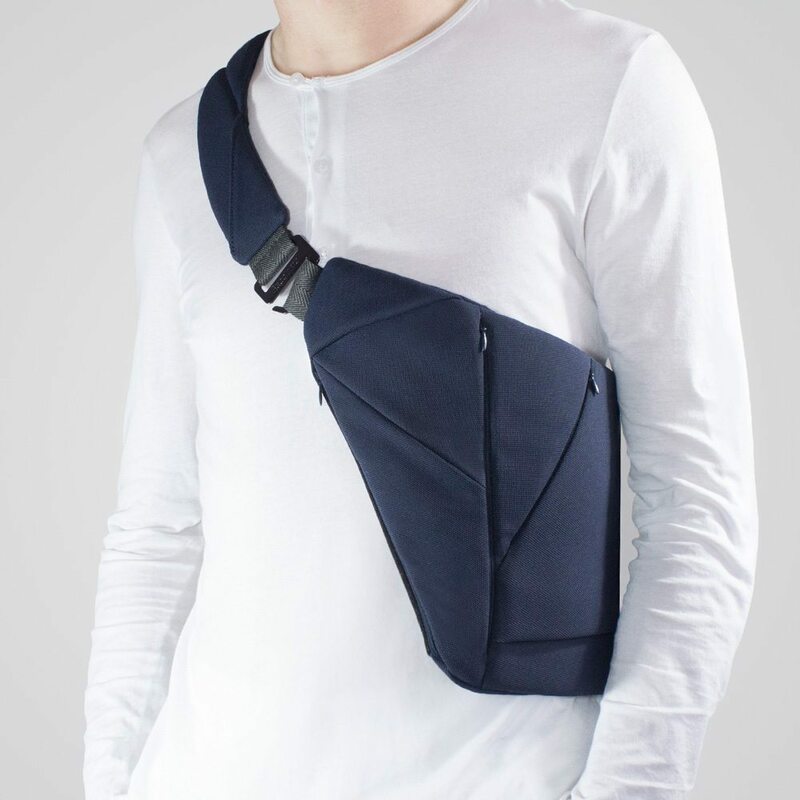 Even when it’s full, Baggizmo’s shape stays slim, following the lines of the body thanks to an adjustable (and comfortable) padded shoulder strap and the bag’s material. The bag was designed to allow easy access to the gadgets following the natural angle of entry of a hand reaching inside for objects. Comfort and wearing convenience have also been determined by the choice of quality and innovative materials that provide special protection against mechanical or heat damage, but still allow the circulation of air between the bag and the body. Baggizmo is made in the EU. 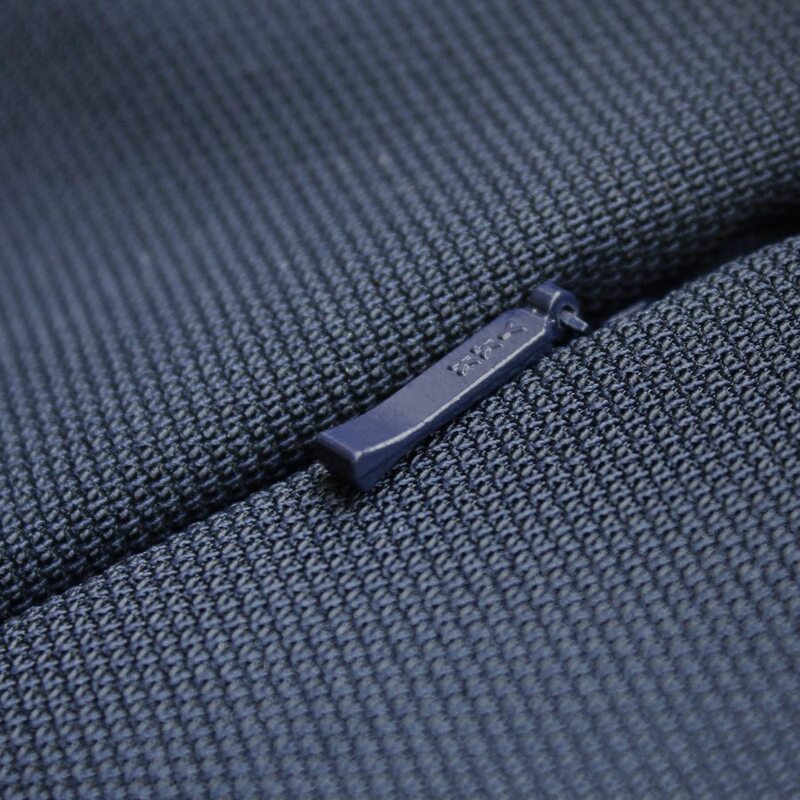 The Baggizmo has integrated an NFC tag in the top front pocket.